Recently I posted a “Thought for the Day” on my Facebook page about fear, citing the Book of Daniel and the story of Shadrach, Meshach and Abednego. The gist of the post was that fear, like fire, can consume if we try to run away from it. Shadrach, Meshach and Abednego allowed themselves to be thrown into the furnace; they recognized God with them (“looking like a Son of Man) and danced with joy amid the flames. Now that is how to deal with fear! Major fears and even lesser ones can consume us but only if we allow it. By calling out our fear and walking straight into the fire with God at our side, we can slowly conquer our fear. I used to have no fear when I sang in public but losing my voice changed all that. Several times when I cantored at mass, my voice failed me in a big way. I never knew when my voice would “show up for work” and that made cantoring a terrifying experience. Those of you who follow this blog know that my voice was healed a year ago when my throat was blessed in honor of the Feast of St. Blaise. But I’ve yet to overcome my fear. What to do? Look for opportunities and invitations from God to walk straight into the fire. That’s how I viewed the auditions recently held at the Hanover Theatre in Worcester for a chance to sing with the internationally acclaimed trio, The Priests. My voice still has its weak spots and the cold and dry conditions of mid- winter don’t help. The day of the audition I was not at my best and it was tremendously tempting to bail out. But along with committing to write an article for the Catholic Free Press about the auditions, I had already accepted God’s latest invitation to deal with my fear. There was no backing out now. When the moment came to sing, I decided to enjoy it even though my fear made my vibrato wobbly. I gazed at the theatre and thought yet again of my healing. With gratitude I realized I never could have sung for this audition a year ago. In the end, I did not win the privilege of singing with The Priests, but I did win yet another round against fear. Imagine yourself on the stage at the Hanover Theater. Gazing out over the empty seats and focusing on the sparkling chandelier, you begin singing your audition piece, all the while imagining those seats filled with people applauding your beautiful voice. That dream is now being realized by Emily Suuberg of St. Mary’s in Shrewsbury, the winning vocalist chosen from a group of forty-one sopranos from various parishes in the Worcester Diocese. Suubert will be singing on stage at the Hanover on March 27 with The Priests, the internationally acclaimed trio from Northern Ireland. The concert is being presented by Francis Carroll, chairman of The Friends of St. John’s Food the Poor Program as a fundraiser for the program..
“I am beyond thrilled to be singing with The Priests!” said Suuberg. “It’s a bit surreal, actually – they’re international stars and I’m lucky enough to be sharing the stage with them. It’s hard to believe.” She credits her grandmother with finding out about the audition and encouraging her to try. Suuberg sang “Saper Vorreste” Verdi Opera for her audition piece. The Priests, made up of Father Eugene O’Hagan and his brother, Father Martin O’Hagan, and Father David Delargy, have been incorporating local non-professional sopranos into their concerts for the last couple of years, giving the lucky vocalists a chance of a lifetime to display their talent. Suuberg will be singing “Amazing Grace” with The Priests plus 2-3 solo pieces. A member of St. Mary’s nearly all her life Suuberg sang for the choir and with other young musicians while in high school. She studied privately with Jenn Turner beginning at age thirteen and continued with Faith Esham while attending Manhattanville College in Purchase, NY. Suuberg graduated in May of 2014. Suuberg was not the only contestant encouraged by her grandmother to audition; Katie O’Neill from St. Luke the Evangelist in Westboro admitted that her grandmother too told her she “had to do it.” She sang “Let There Be Peace on Earth” for her audition piece. Cantors and choir members from around the diocese flocked to the Hanover last Sunday for the auditions. Margaret Abboud from Christ the King in Worcester was there despite the fact she was expecting forty people at her home later in the afternoon for a Super Bowl party. “I love the idea of supporting the St. John’s Food for the Poor Program anyway I can,” she said. Three distinguished judges were on hand: Thomas Nerbonne, a music educator for the last twenty years at Wachusett Regional High School has adjudicated vocal soloists, vocal ensembles and choirs in all of the New England states and the Vienna International Music Center in Vienna, Austria. 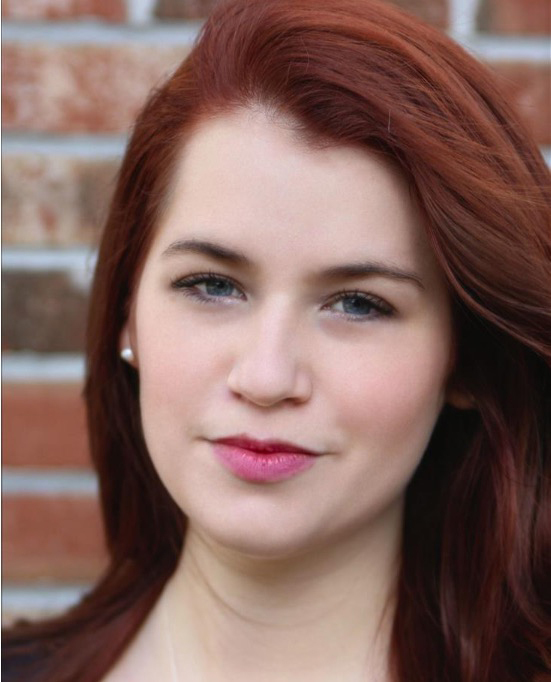 Siobhan Petrella studied Vocal Performance at Anna Maria College. 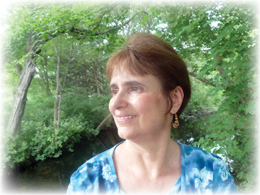 She is classically trained in Opera under Malama Robbins, and a past member of the Salisbury Singers. She taught music in the Worcester Public Schools and in the music magnet program at Burncoat Middle School. Currently she is an Assistant Principal at Worcester Technical High School. David MacArthur is the Assistant Operations Manager at The Hanover Theatre. He obtained his B.A. in Entertainment Management. An avid music lover he assists in booking events and coordinating production needs that come through the venue. Kallin Johnson, Music Director at Notre Dame Academy. 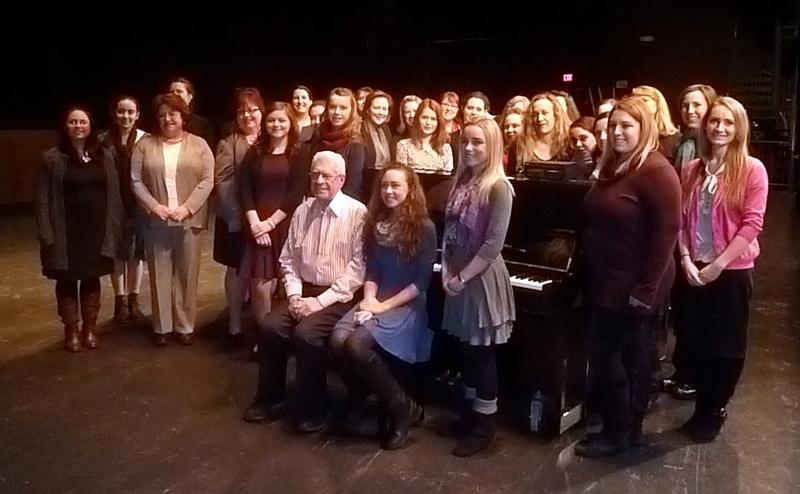 Worcester, and Board Member, The Hanover Theatre for the Performing Arts, was the accompanist for the auditions. Melanie Donegan, director of the Actor’s Loft and another Board Member, coordinated the auditions. The concert takes place on March 27th at the Hanover Theatre. Tickets range from $25-45 and are available online at the website http://thehanovertheatre.org/; you can also call the theatre at 877.571.SHOW (7469).